There are around two weeks until the official debut of the second-generation Mercedes-Benz G-Class, but we think we know everything about the legendary SUV already. The iconic vehicle has shown its new interior a few weeks ago, yet today the carmaker has decided to release a single teaser of the exterior styling. Plus, we’ve spied a number of prototypes over the past year, so yes we know everything about the 2019 Mercedes-Benz G-Class. The newest teaser photo doesn’t reveal much. However, the video does, so it’s quite clear that the amazing SUV isn’t going to lose its distinctive boxy design. The exterior appears to feature just a bit softer lines, but essentially, it resembles the predecessor. The front end will definitely host a totally new grille and bumper, while a pair of new headlights seems to be round and hopefully LED-treated. G-Class’ identity is going to be kept without any doubt. The awesome SUV will ride on a new platform, which will shed some weight and enable softer ride, but it will also preserve off-road abilities. It’s also very important to know that the new-generation G-Class benefits from the new dimensions. The height is the only part which has been reduced, while the rest of the footprint grew. Mercedes’ powertrain department will likely employ just one engine for the U.S. marker. It’s going to be a 4.0-liter twin-turbocharged V-8, which is capable of delivering up to 510 horsepower and 479 lb-ft of torque. 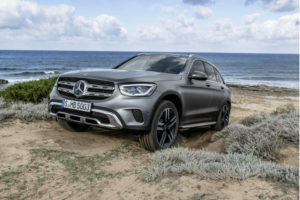 AMG version of the SUV will likely rely on a twin-turbocharged V-12, while the European 2019 Mercedes-Benz G-Class is going to host a single diesel option, most likely a six-cylinder oil-burner. No matter which engine is going to use, the vehicle will be paired with an all-wheel-drive system. The wheels will receive power via a nine-speed auto transmission, though the AMG model will likely use a seven-speed dual-clutch. The next-gen G-Class will be introduced in a few days, so stay tuned for updates. 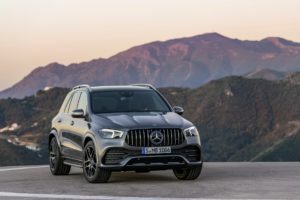 2020 Mercedes-AMG GLE 63 S SUV Looks Good In Its Blue "Suit"